This entry was posted in Citrus, Desserts, Easy, lemon, Quick Breads, Sweet Baked Goods, white chocolate and tagged dessert, easy, lemon, quick breads, white chocolate by Janet. Bookmark the permalink. You added ginger? Getting a little sassy in our old age aren’t we! Is there no sugar in the cake batter? 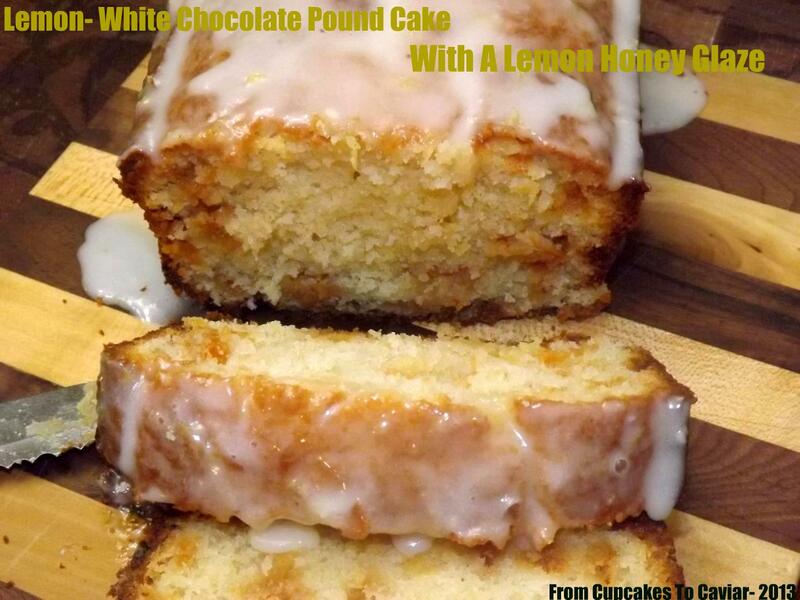 Love pound cake (much more than cakes with frosting), love lemon cakes, love white chocolate. Not sure how lemon goes with white chocolate, though. Please forward this cake to me for taste testing and I’ll let you know if I think they go together. Maybe send two because I’m very indecisive. How ’bout I just make sure you have the link to the recipe on your personal facebook page? 😀 hehehe. And honest, they go great together!